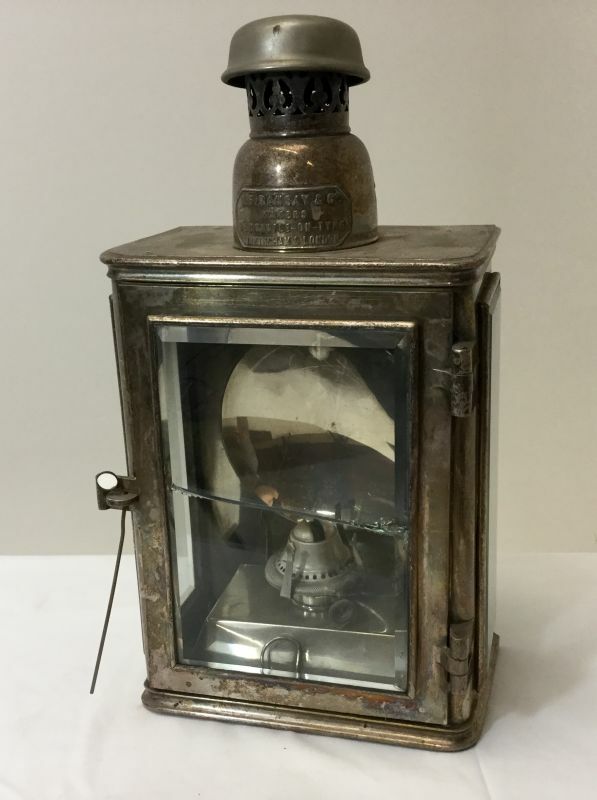 Large oil lamp by Ramsay & Co of Newcastle on Tyne, Birmongham and London. It stands 43 cm tall. Note: there is a crack in the glass.